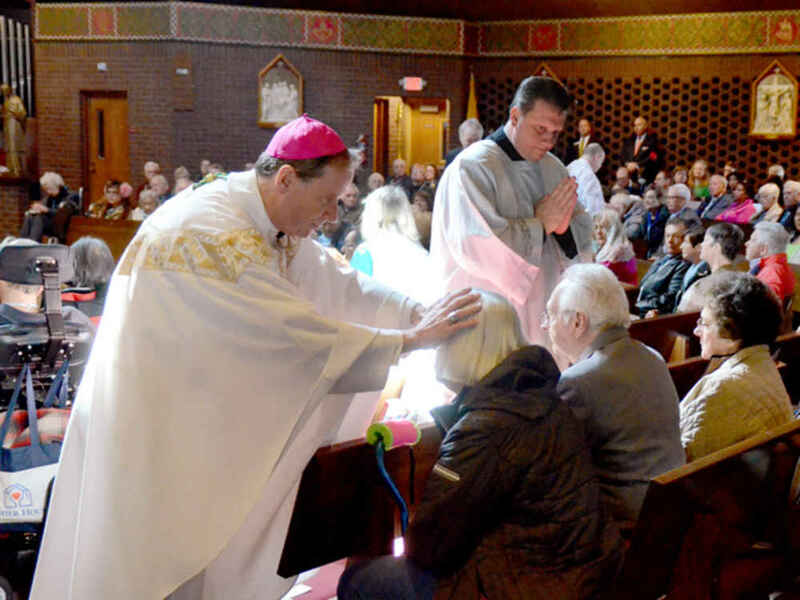 The Northern Virginia chapter of the Order of Malta and Bishop Burbidge cordially invite all individuals (and their companions) with illnesses or physical/mental challenges to a Mass and Anointing of the Sick. Cherrydale Nursing Home (1st and 3rd Saturday of each month). Members gather for 9 AM Mass at St. Agnes Church. Then we serve coffee and treats to patients on the 5th floor solarium starting about 9:45 am. Please bring a package of either sugar-free cookies or unglazed donuts with you. Please join us as we need more members to participate. Contact George and Carmen Egge for more information or to rsvp: gvegge@aol.com. Missionaries of Charity Soup Kitchen (each Monday, Wednesday, Friday, and Saturday.) Members help at the Soup Kitchen in Anacostia on Mondays, Wednesdays, Fridays and Saturdays. Please contact Bertha Braddock for more information and to rsvp: berthabraddock.bb@gmail.com. The Virginian (each Friday morning and Tuesdays at 2pm). Members assist with bringing Holy Eucharist to the sick and elderly residents of the Virginian in Fairfax each Friday morning following the 9 am mass at St. Ambrose Church. In addition, the rosary is prayed on Tuesdays at 2pm. For more information contact Bill Kelly bkelly1041@aol.com or Chris and Sue Rasmus at rasmus@rasmus.com or s.rasmus@rasmus.com. Rosary at Arbor Terrace Assisted Living in Fairfax (2nd Sunday). Members gather with residents to pray the rosary. Contact Michael Gaffney for more information or to rsvp: Gaffneymj@hotmail.com. "I was in prison and you visited me." In addition to programs sponsored by local parishes, Members support local programs as religious instructors to prisoners (part of a team visiting a prison), as Pen Pals, and by providing prisoners with religious materials, such as Malta Bibles, Prayers books and Prayer Cards. Please contact Bruce Gnatowski at bgnatowski@verizon.net to become involved. Members of the Order are actively engaged at all three bases in support of the Wounded Warrior and other hospitalized military personnel, their caregivers, and staff. Contact either Larry Demaree: Larry@demareeassociates.com or Cara Aghajanian: cara.aghajanian@gmail.com to be put on the mailing list as service opportunity. Our monthly DOF meetings help nurture the practice of tuitio fidei, which is an outward going service of nurturing, witnessing, and defending the Faith. 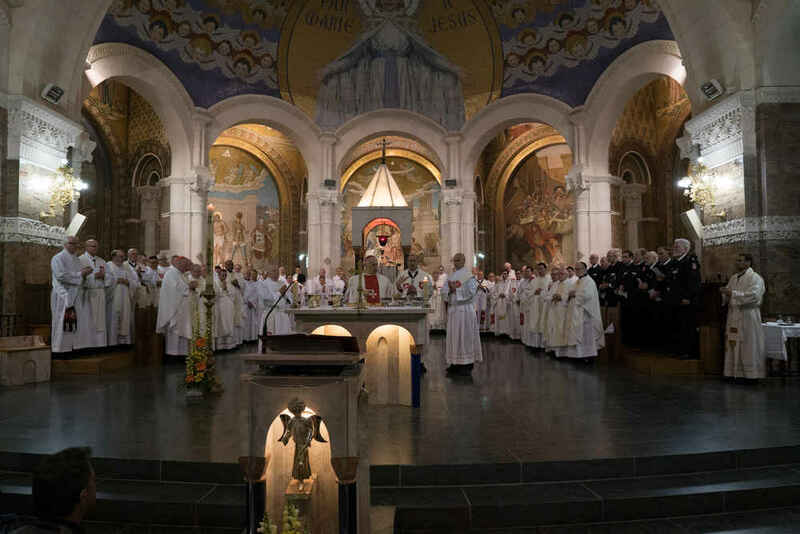 The tuitio fidei presupposes a scholastic's fidei (knowledge of the Faith of the Church) and an exercitium fidei (formation and experience in spiritual life). Talks and discussions are followed by a social. Regulations and Commentary p. 36-37. The Federal Association has been active in Northern Virginia since the mid-1980’s. A small group has grown into a very active group of over 100 Knights and Dames. The post Grand Master Visits Grand Priory of Rome appeared first on Order of Malta.